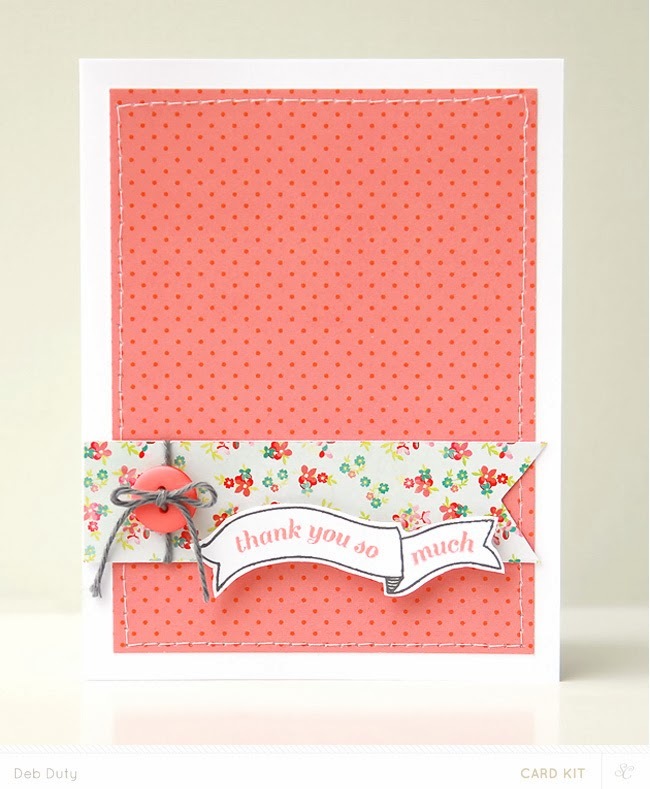 I have been loving making cards lately with the Studio Calico card kits, and this month was no exception. I shared a collage of my cards yesterday, but I wanted to come back and share each one for a closer look. The Office Hours card kit and the Water Cooler card add-on are both still available as of now! Also, don't forget about Studio Calico's new Color Theory ink pads. All the stamping I did on the cards below used these inks. The colors are gorgeous and they stamp perfectly. These two cards use only the Office Hours card kit. 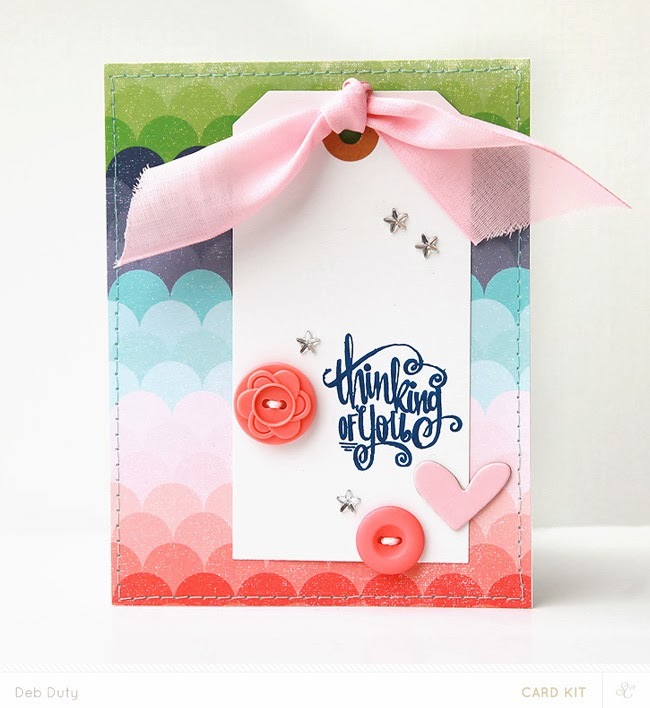 I used lots of the coral elements found in the kits, and I got lots of use out of my new favorite Color Theory ink - Coral Bay. The rest of my cards used both card kits. I especially love the sentiments in the Water Cooler add-on. Such a pretty script! I used a digital stamp brush to create a cut file for the first one. This last card is my favorite this month! 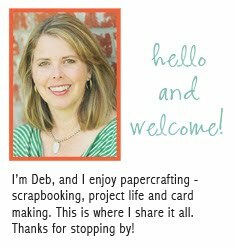 I also made a matching envelope that I shared today on the Studio Calico blog. 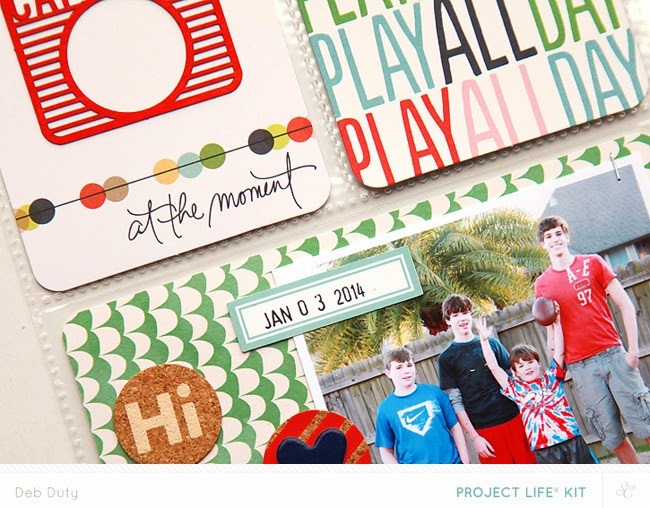 Studio Calico is a kit club that offers monthly subscriptions for Scrapbook, Project Life and Card kits. If you would like to receive one or more of the kits each month, subscribe here. You'll get a discount and you'll be able to bundle any purchases made at Studio Calico each month from the 27th to the end of the month for one shipping fee. Plus there are other subscriber benefits described here under subscriptions! 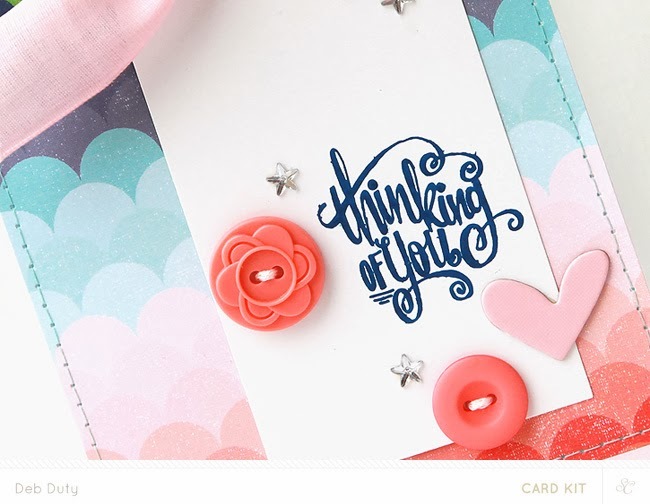 The gorgeous Office Hours kits are on sale now for subscribers at Studio Calico! If you aren't a subscriber, kits go on sale for you tonight at midnight Eastern. 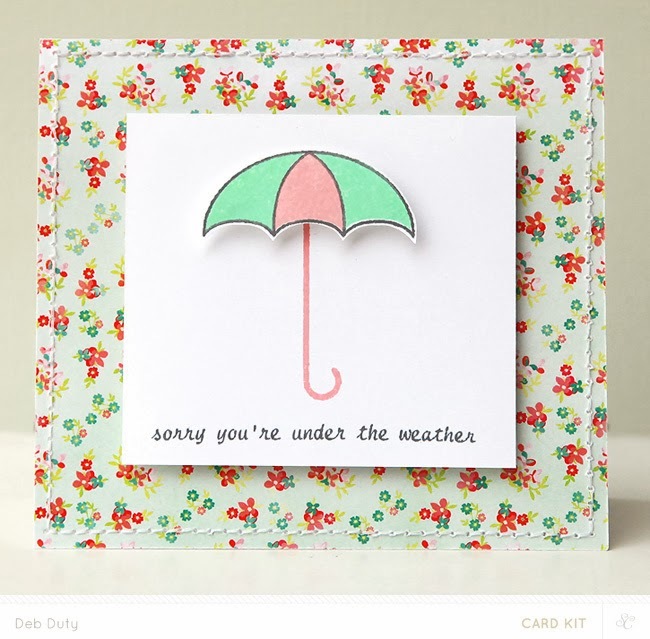 My favorite kit this month is the card add-on, Water Cooler. 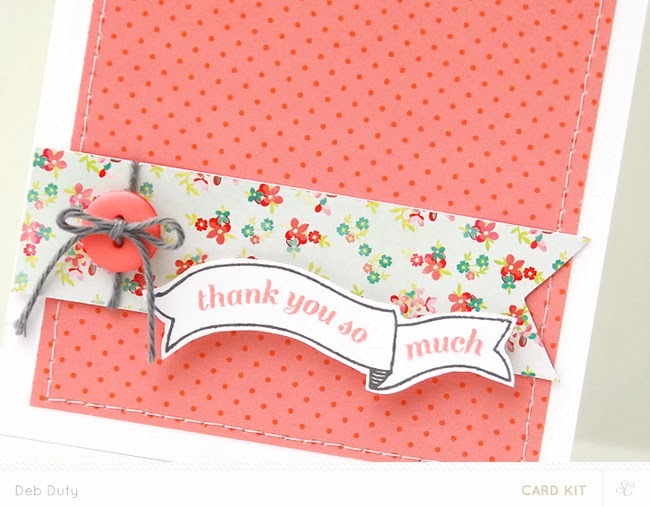 The stamp set has the most beautiful scripty sentiments, and I love the flower and stem stamps too! I made five cards with the Office Hours card kit and Water Cooler add-on. 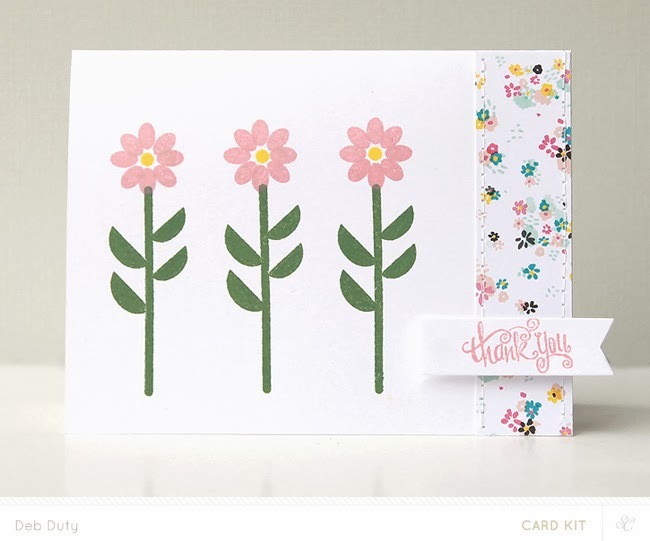 You can see each card in detail and the kits/products used in my March card gallery. 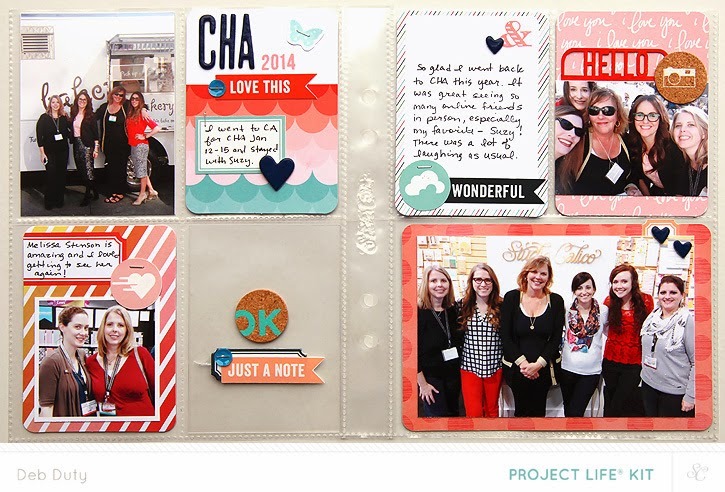 The Office Hours Project Life kits have such amazing cards and embellishments this month in such beautiful colors! I made the switch to the Handbook albums for 2014 and I'm loving it. It was time for me to switch it up after four years, and this smaller size is just what I needed. Three of my four spreads this month are event based as opposed to a weekly summary. I will continue throughout the year to do some random summary spreads and some that are based on an event. 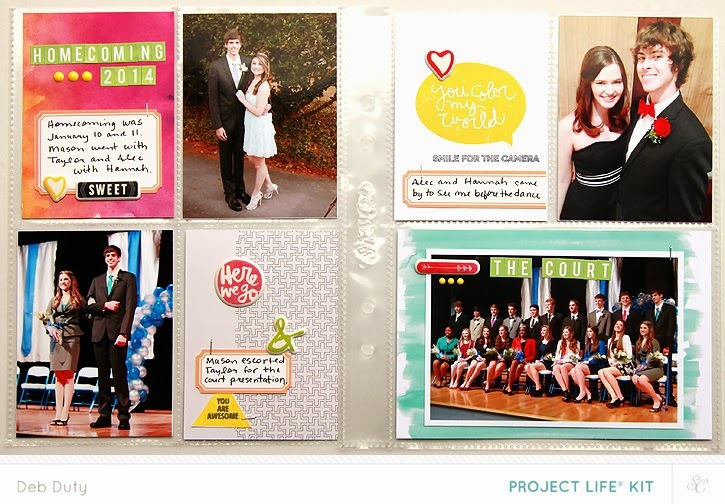 Check out my March Project Life gallery for details. 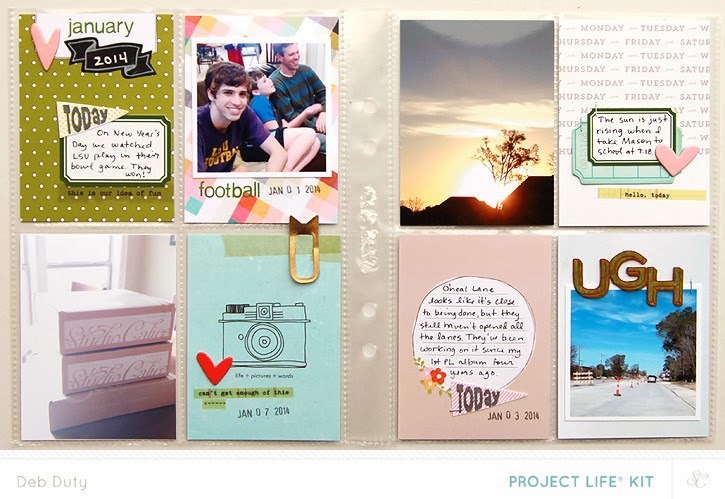 I used the main Project Life kit only for these first two spreads. One is about playing football in the backyard, and the other documents my trip to CHA. This one uses the Spreadsheet add-on and is the one spread that is a summary of a week in January. 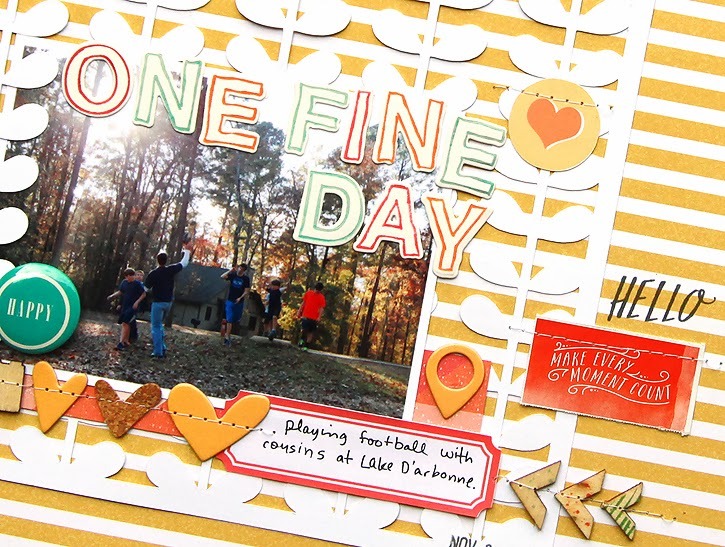 This spread documents homecoming for my boys last month. The colors and Amy Tangerine puffy stickers in the Report add-on worked perfectly for these photos. 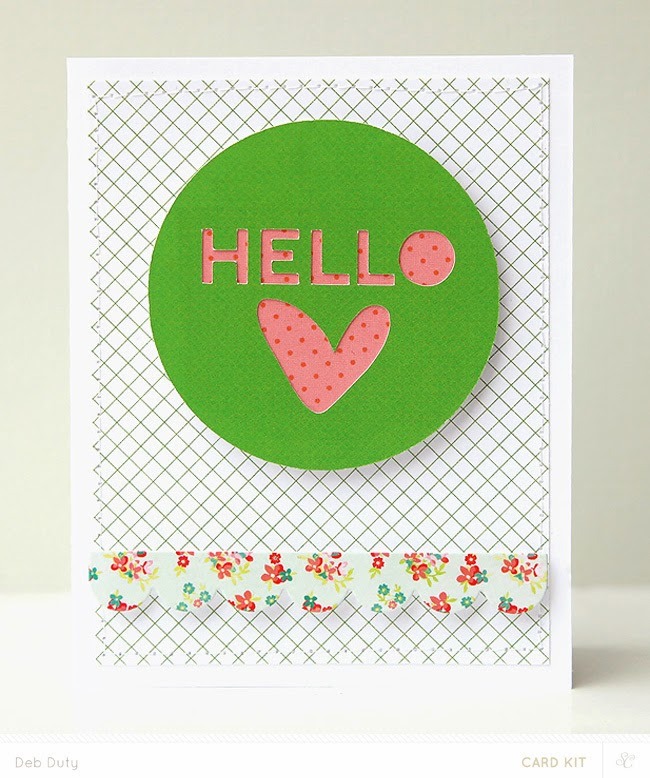 I have one more card that I made with the card kits and the stamp add-on, Inbox. 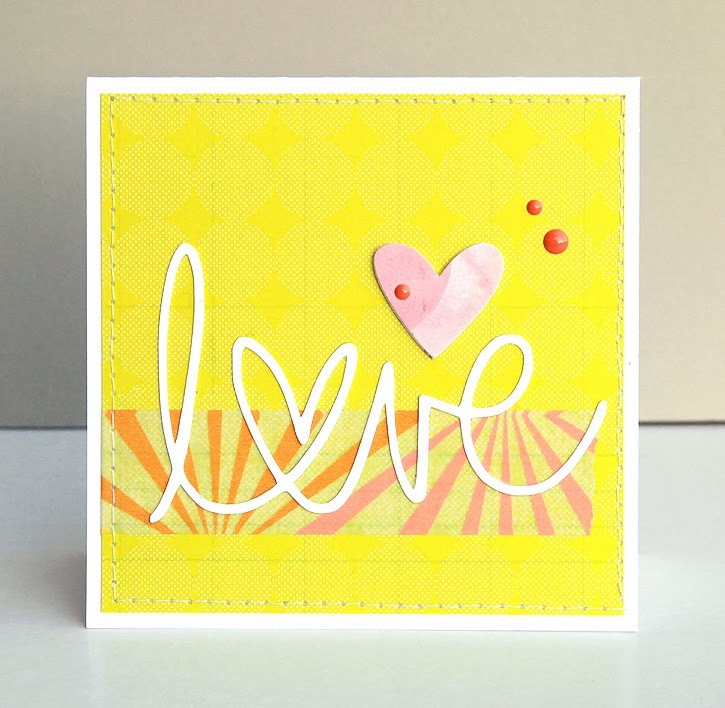 This one isn't in my card gallery because I used the PL add-on stamp, and our creative team galleries are for cards made with the card kits only. I used the string of lights along with a sentiment from the card kit and a variety of patterned papers from both card kits to create this card. 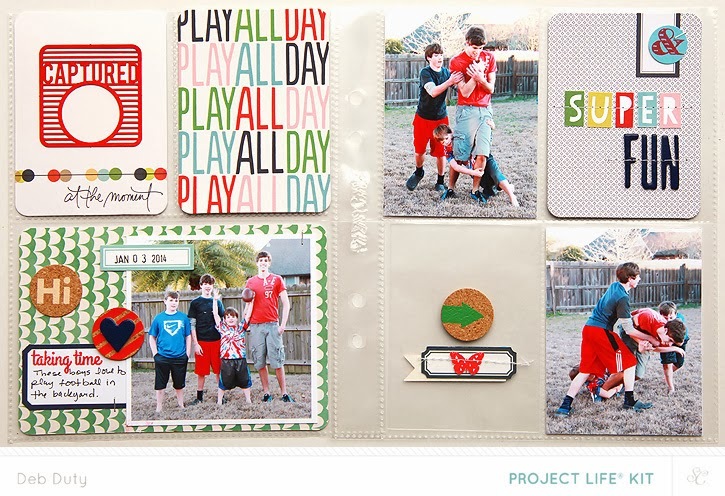 Just wanted to share a few Project Life and card sneaks from the Studio Calico Office Hours kits. These kits will go on sale Thursday at noon Eastern for subscribers and twelve hours later for everyone else. You can see sneaks for each kit here. I find myself using a lot of coral lately. It is divine. I think every one of my cards this month includes at least a little, and I'm loving it! This means that my favorite of the new Color Theory inks would be Coral Bay. It is divine. 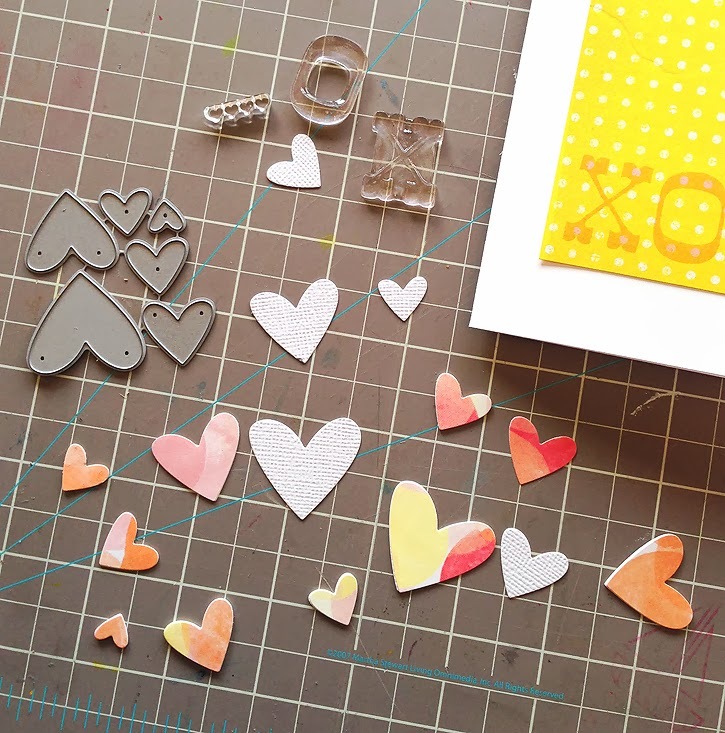 I cut the hearts out of Studio Calico Wanderlust paper with my Lawn Fawn hearts dies. 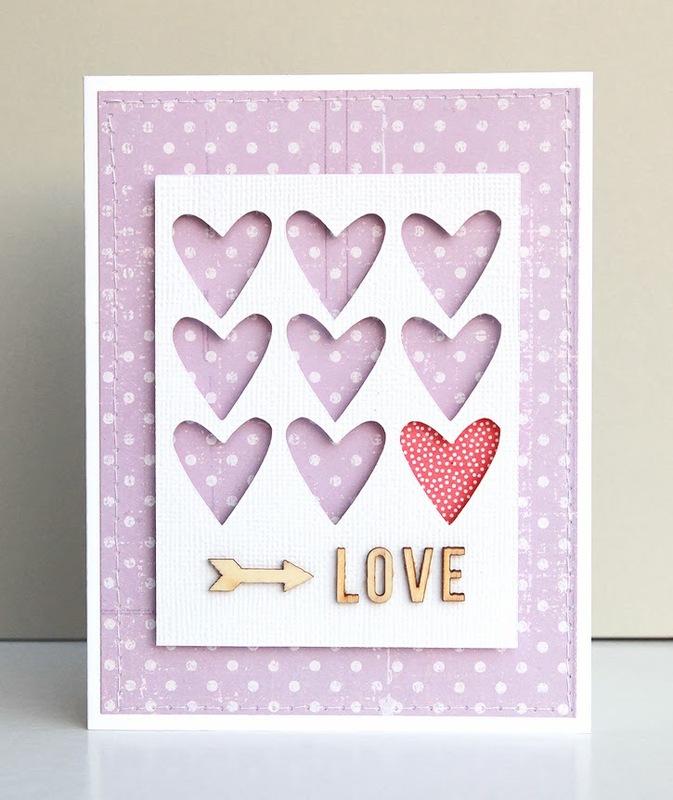 I cut out extras with white cardstock so that I could layer the hearts and make them pop off the card a little more. 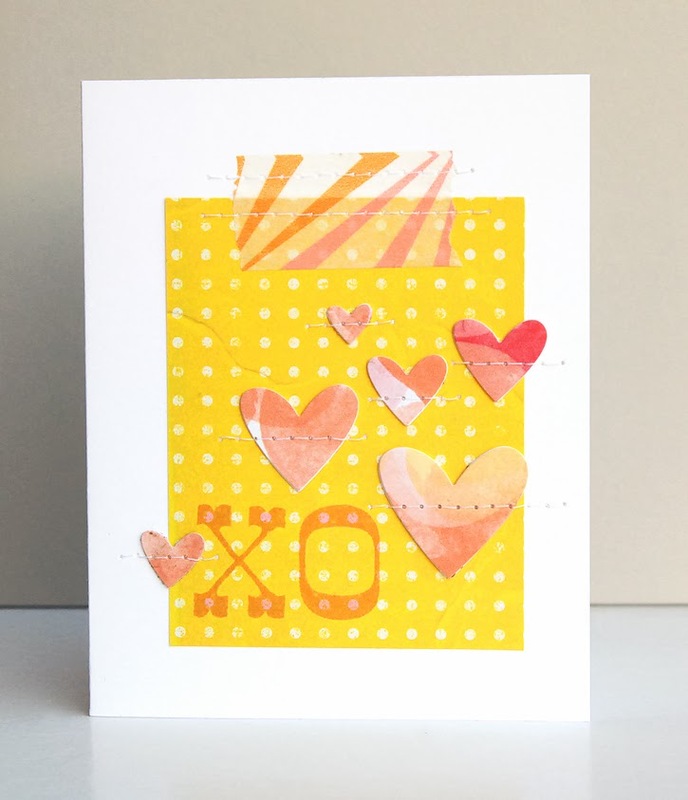 The yellow dot paper is part of the new Color Theory paper pack from Studio Calico, and the XO stamp is available while supplies last. 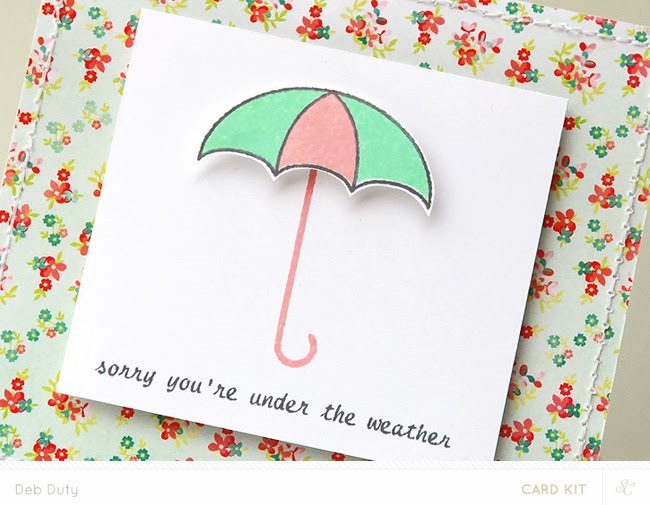 The next card was based on this card, but this time I used more girly colors. The purple paper is another one from the Color Theory paper pack. And on this last card I used one of the leftover hearts I had from the first card and a "love" cut file. 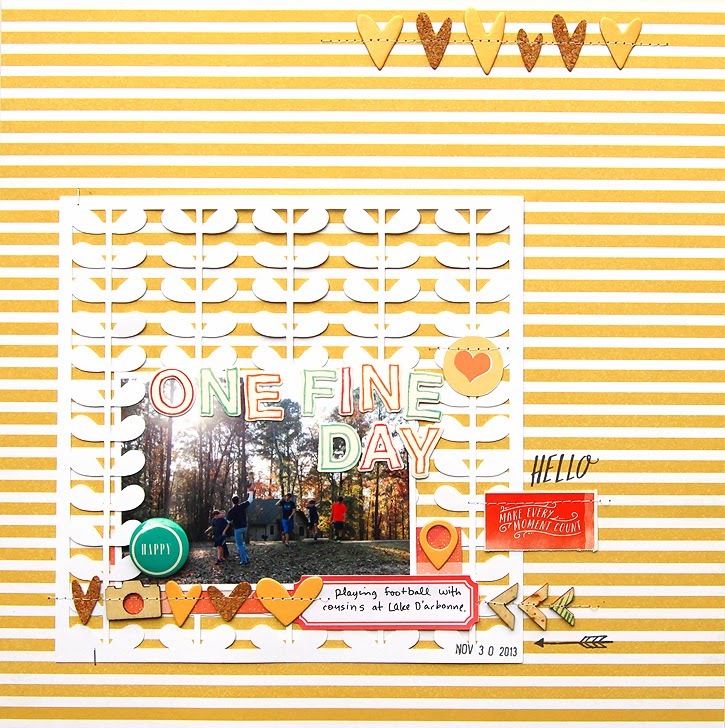 I also used some of the new Color Theory enamel dots and the washi from the Sugar Rush scrapbook kit. 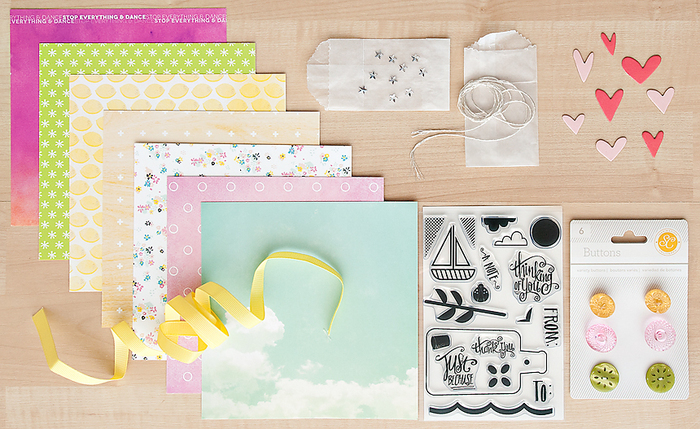 The Sugar Rush cut files are perfect for cards or Project Life or layouts, and they are only $1.99. They will be available only until the next kit is revealed so if you want them, don't wait! I'm on a roll... another layout to share! This one uses a cut file that I've been wanting to use every since I found it. It's like an Orla Kiely design that I love. I used a photo of the guys playing football on Thanksgiving weekend... such fun memories. I made the alphas with the Tyler letterpress and die alpha set. The hearts are part of Studio Calico's Essentials collection. 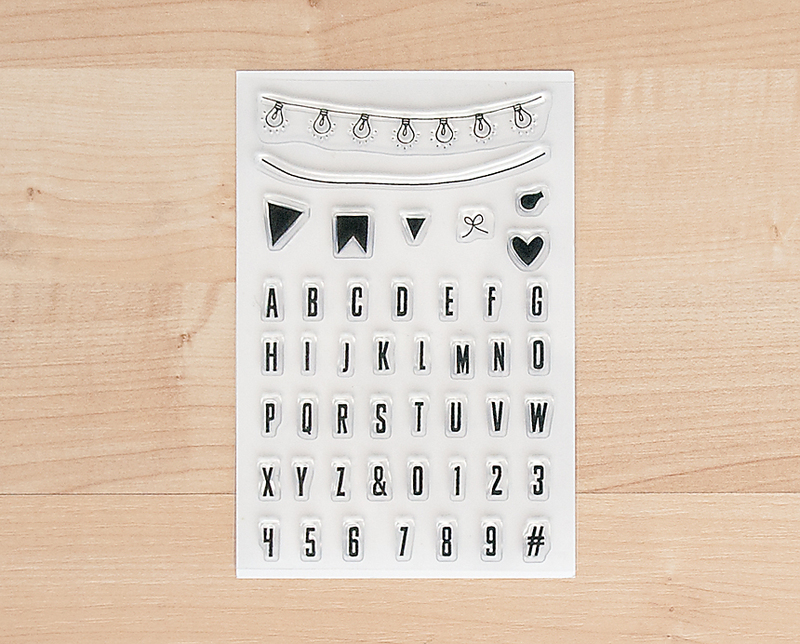 The hello and arrow stamps are part of the Cuppa Card kit set, one of my favorite stamp sets that I reach for over and over. Mason showed me a photo he and his girlfriend took together. It was too cute to pass up... I had to scrapbook it. In fact I wouldn't mind scrapbooking this photo a few times. It's rare that I get a photo that works so well with so many colors. With it being mostly blue, it would look great with yellows or lime greens or red... so many possibilities. I chose to go with mostly reds this time. I used the gorgeous new Studio Calico collection, Wanderlust, and also some cameras and hearts from the Essentials collection. 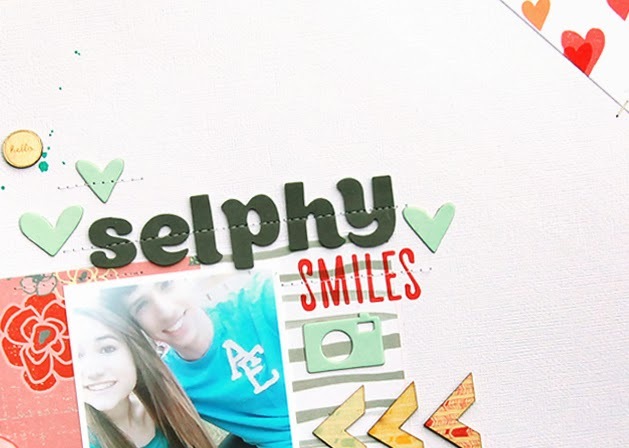 I'm so happy that I've had enough time lately to get back to making some layouts. 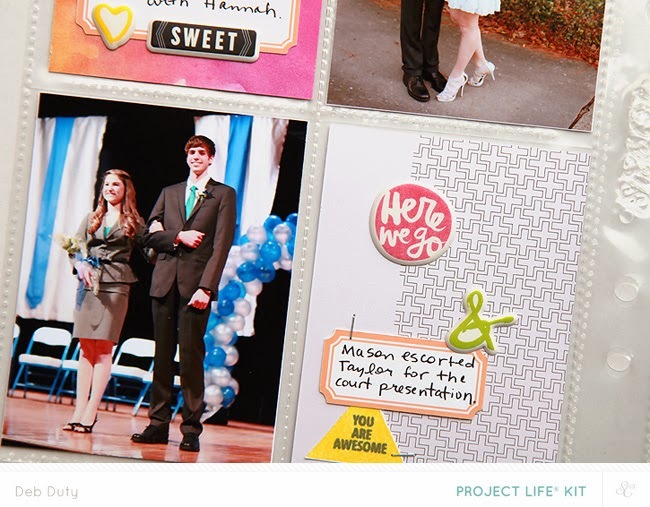 I enjoy my Project Life spreads, and I'm really loving card making lately, but I was missing making layouts.